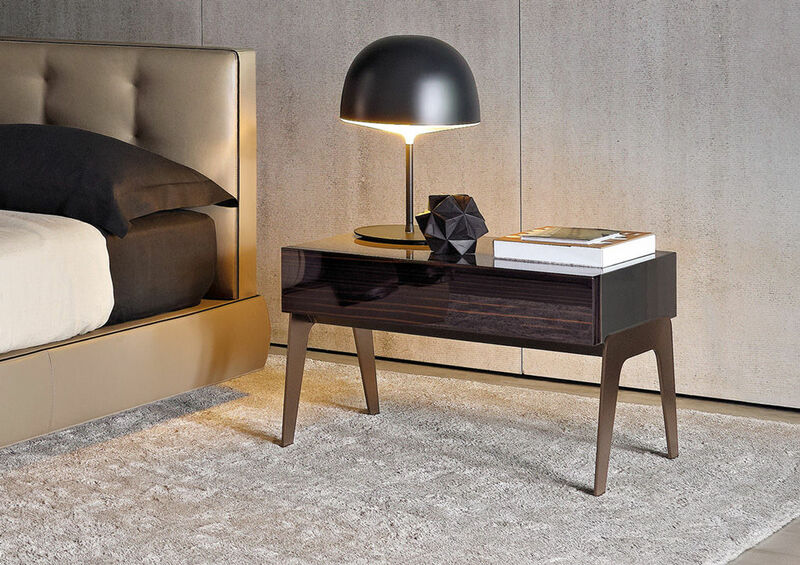 The Kirk nightstand is graced with elegant metal legs in painted Bronze finish, topped with a structure in glossy lacquer-ed Granite finish, while the front of the drawer is finished in glossy Ebony. This unexpected combination of materials lends exclusive style and appeal to this companion piece for the bedroom. 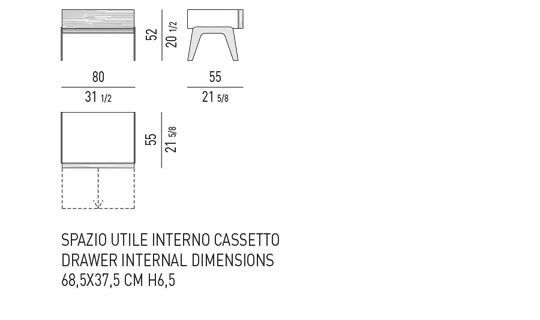 In MDF 45° assembly, 25 mm thick, Granite color glossy lacquer finish. Satin-finish metal, 8 mm thick, Bronze paint finish. Protective Hytrel® (soft, scratch-proof rubber) glides. 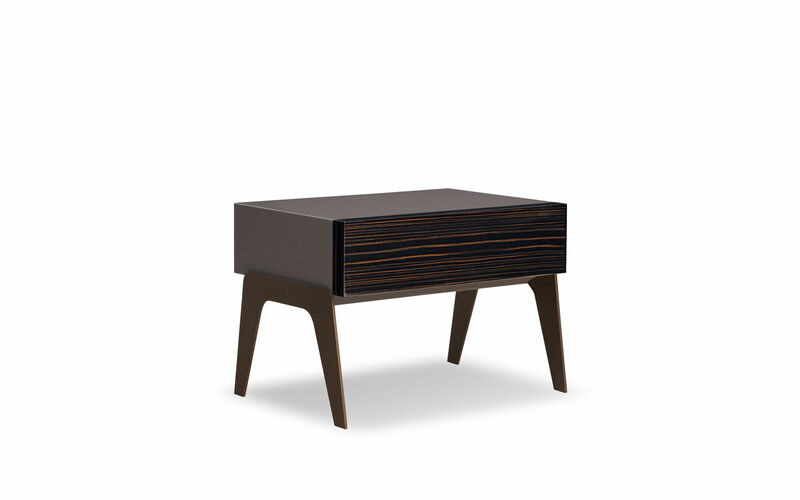 Drawer front in composite ebony veneer with glossy transparent polyester finish. Matt ebony interior finish. The drawer slides on full-extension guides with push-pull open-close mechanism.